Small 1cm/10mm aprox. orchids with central clear Swarovski crystal. Though originally designed to decorate PILGRIM sunglasses these also make an excellent pair of stud earrings. The posts are bent at a 90 degree angle and come with a rubber bullet stopper. Small 2.5cm/25mm wingsan aprox. 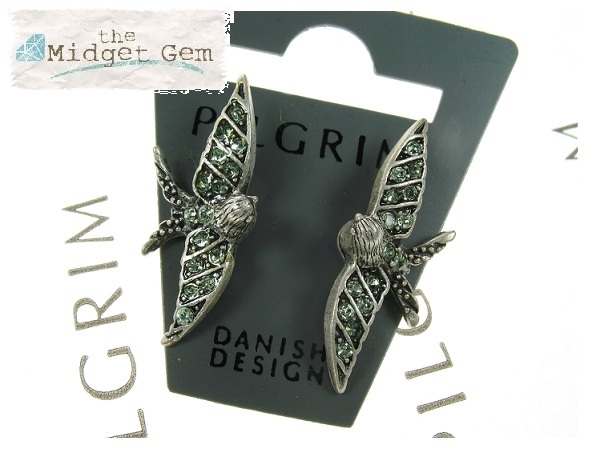 swallow birds studded with green Swarovski crystals. Though originally designed to decorate PILGRIM sunglasses these also make an excellent pair of stud earrings. The posts are bent at a 90 degree angle and come with a rubber bullet stopper. Small 2.5cm/25mm wingsan aprox. swallow birds studded with clear Swarovski crystals. 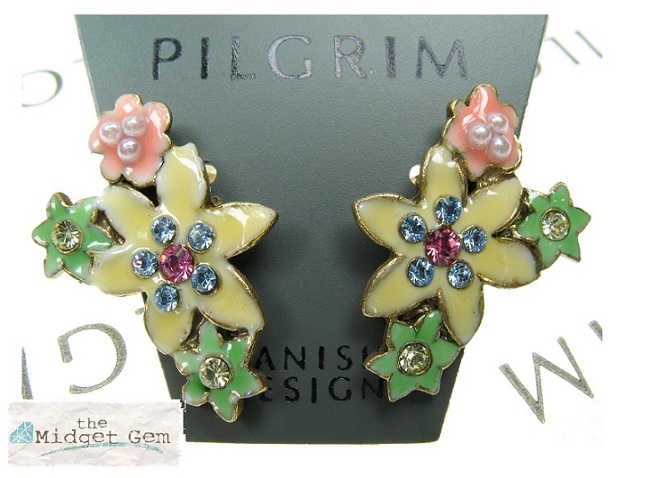 Though originally designed to decorate PILGRIM sunglasses these also make an excellent pair of stud earrings. The posts are bent at a 90 degree angle and come with a rubber bullet stopper. Small 2cm/20mm longest part. A cluster of flowers from the 'Enchnated Flower' series in various coloured enamels (yellow, peach, green) and set with coordinating Swarovski crystals and pearls. 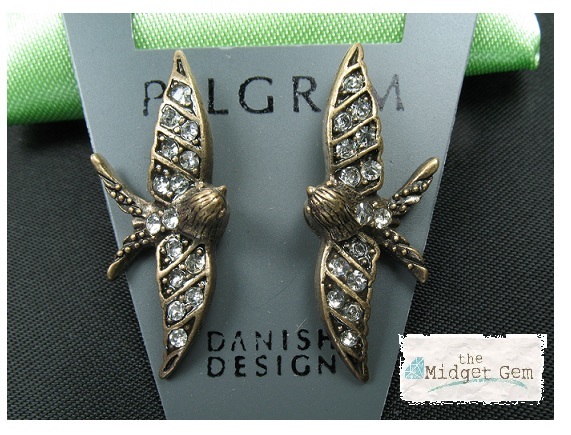 Though originally designed to decorate PILGRIM sunglasses these also make an excellent pair of stud earrings. The posts are bent at a 90 degree angle and come with a rubber bullet stopper. Small 2cm/20mm longest part. 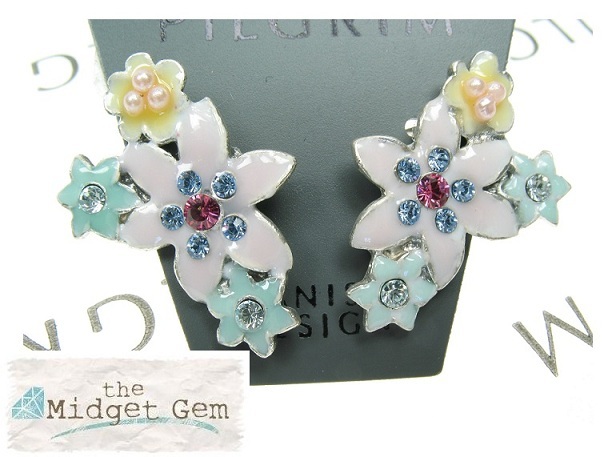 A cluster of flowers from the 'Enchnated Flower' series in various pastel coloured enamels (pink, yellow, green) and set with coordinating Swarovski crystals and pearls. 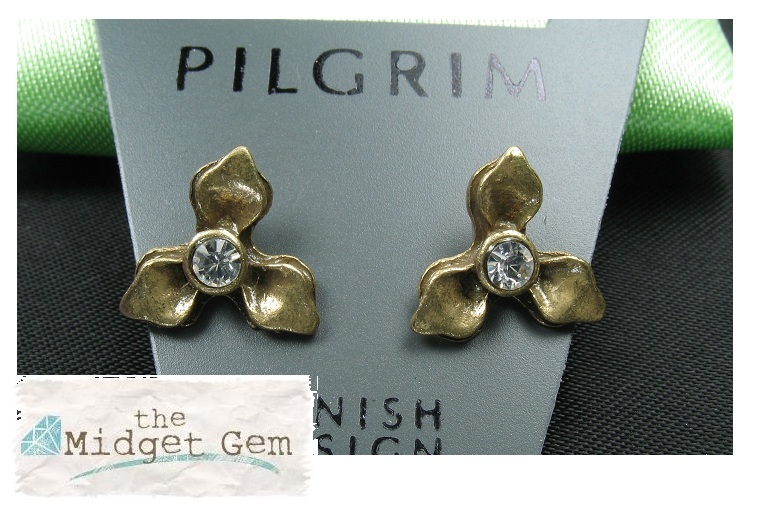 Though originally designed to decorate PILGRIM sunglasses these also make an excellent pair of stud earrings. The posts are bent at a 90 degree angle and come with a rubber bullet stopper.